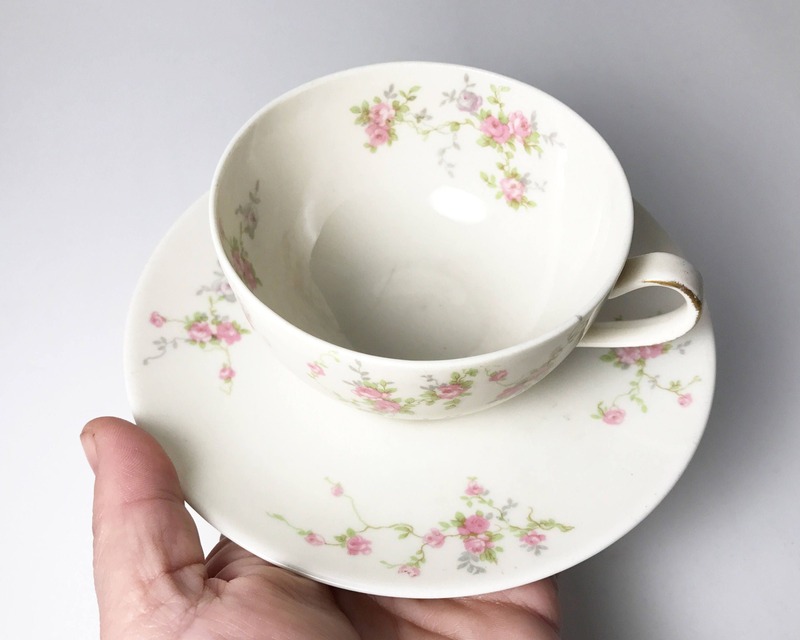 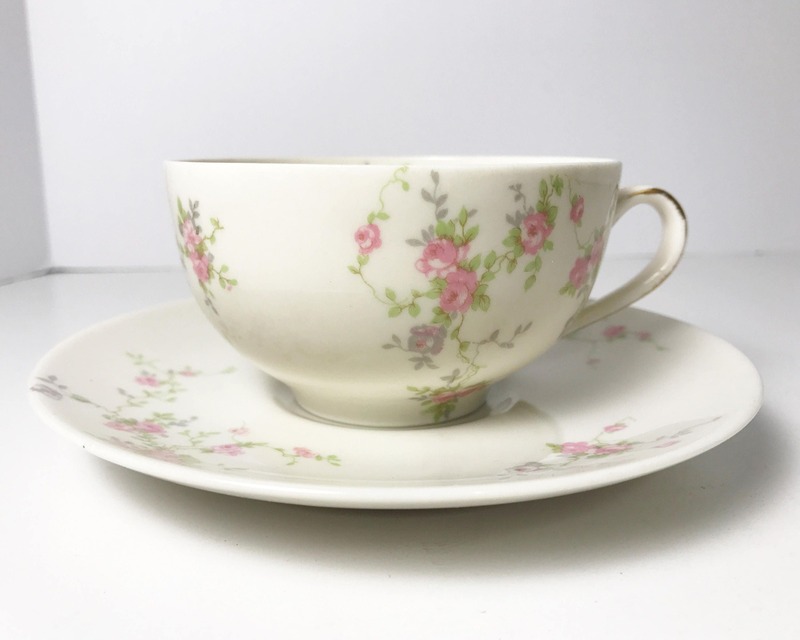 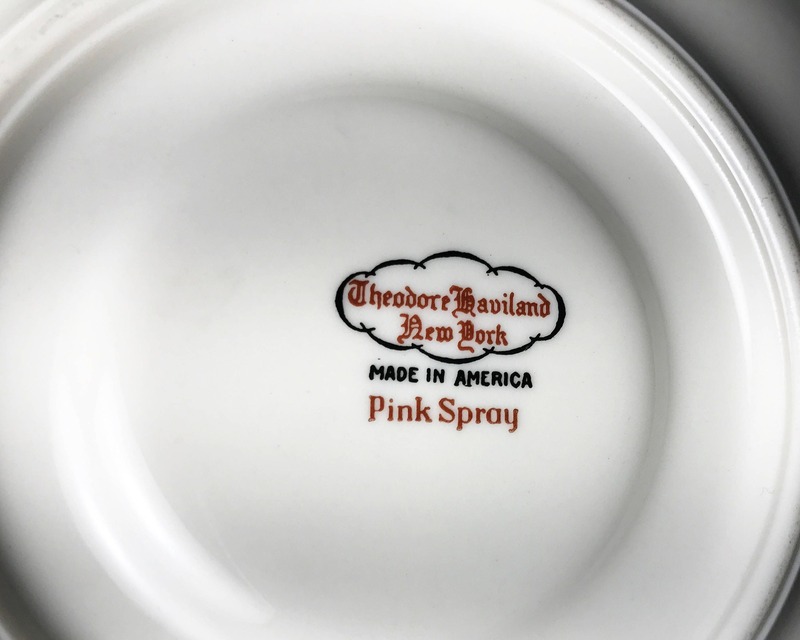 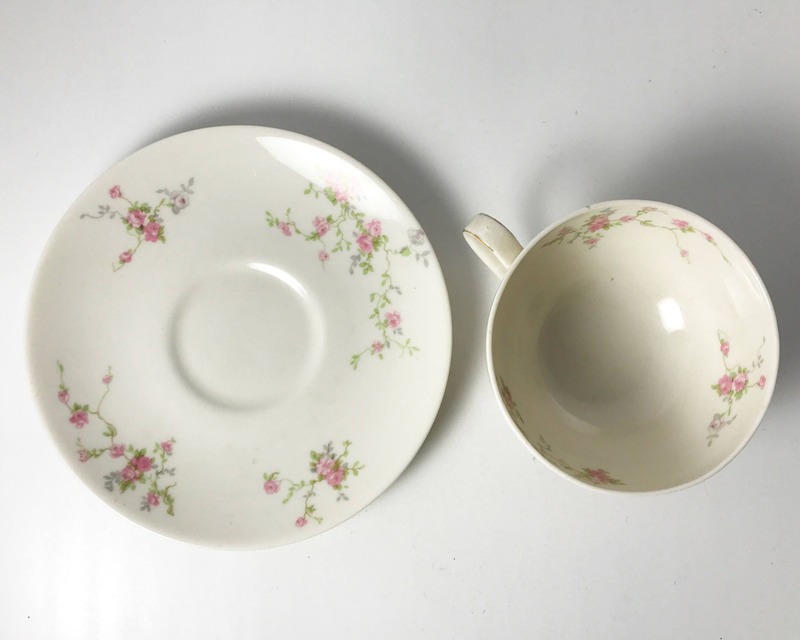 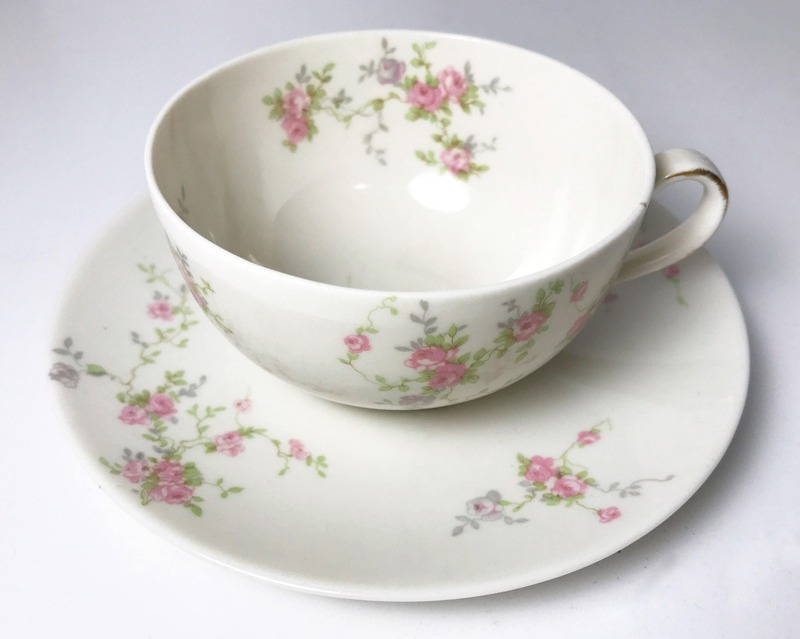 This is an elegant porcelain teacup and saucer by Theodore Haviland featuring tiny sprays of pink roses in their "Pink Spray" pattern. 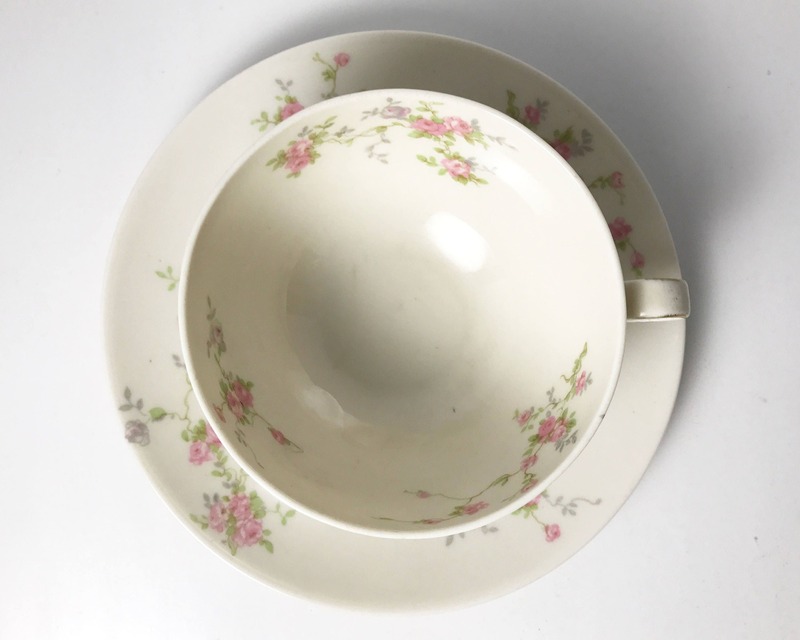 The handle is delicately trimmed with brushed gold. 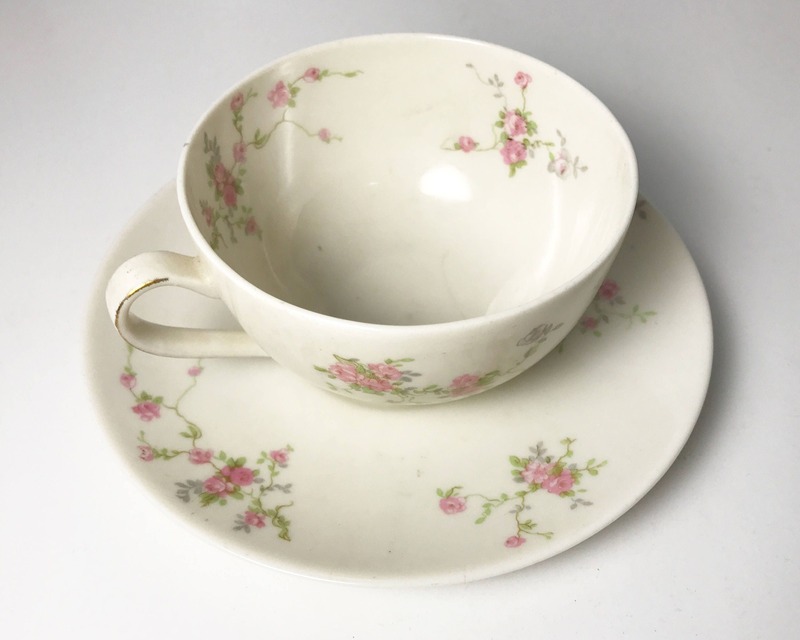 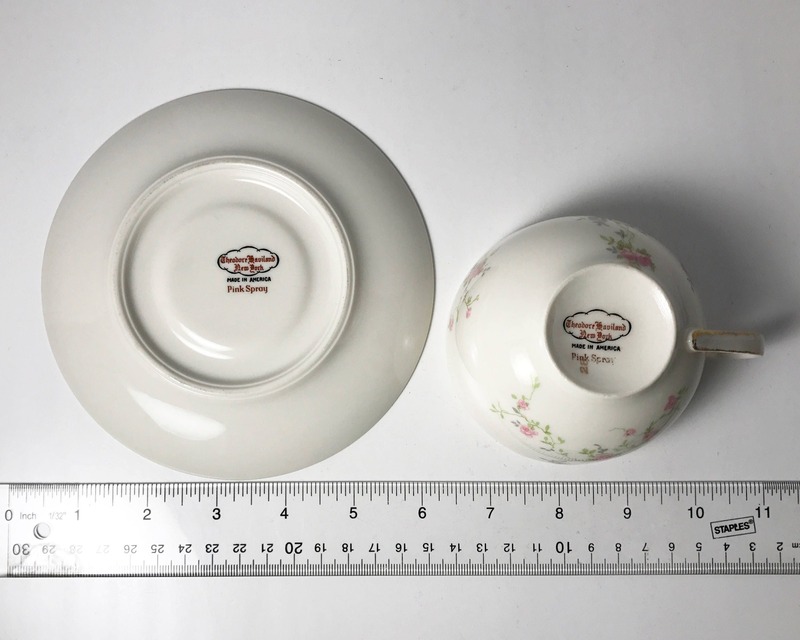 SIZE: Cup is 2 1/4 inches tall, and saucer is 5 3/4 inches wide.